Check out this amazing and beautiful Vivienne Westwood Skull Necklace. Vivienne is one of the most successful UK-based designers. 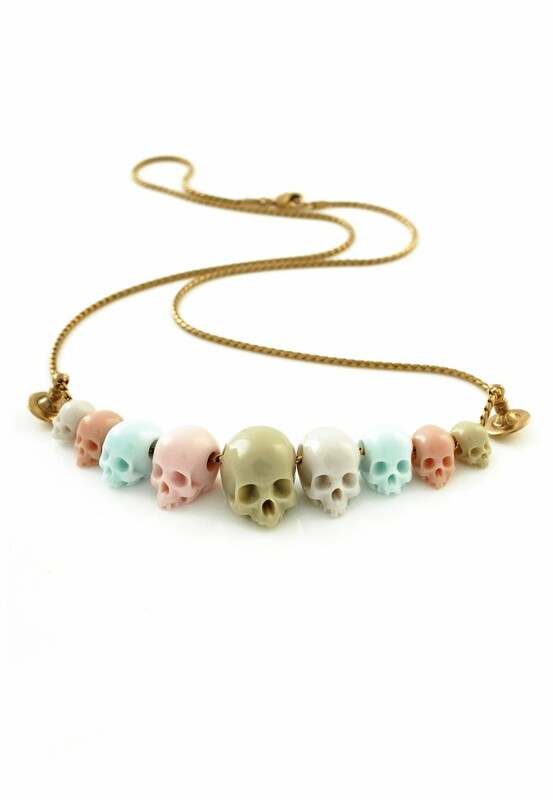 Each skull of this sublime skull bead necklace is carved from resin and decorated in an array of pastel colors. Nine skulls are strung loosely on the golden imitation rhodium chain, finished at either end with Orbs. Unfortunately this necklace is out of stock.